Senator David Dafinone is dead. He died yesterday morning in Lagos. He was 91. Dafinone was a Senator in the Second Republic from 1979-1983. He was chairman of the board of trustees of the Nigerian International Biographical Center, Apapa, Lagos and was a Fellow of the Institute of Chartered Accountants in England and Wales, Institute Chartered Accountants of Nigeria, National Geography Society; member Nigerian Institute International Affairs, International Biographical Society (life), National Policy Council, and Urban Land Institute. 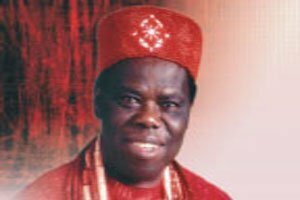 He was born on March 12, 1927 in Sapele, Delta State to Thomas Omueya and Agbami (Onomor) Dafinone.